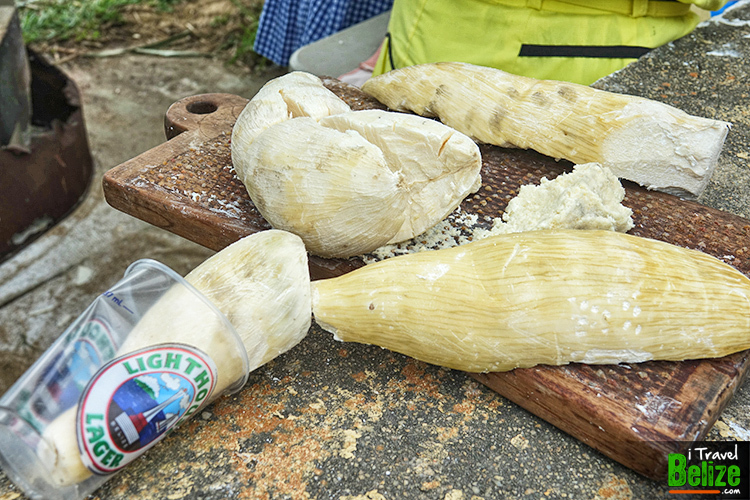 When I think of cassava, I immediately associate it with the Garifuna culture of Belize. Its a staple food for them. 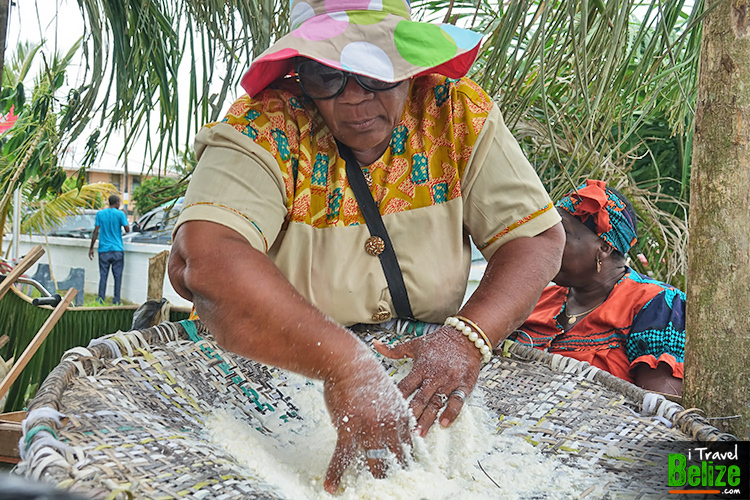 They fish, grow cassava and other Carib crops like plantains to make fufu. Coconut milk, garlic, basil, black pepper, plantain, bananas, chicken and fish are also key ingredients in Garifuna Cuisine. Fish boiled in coconut milk, called “serre”, served with mashed plantain called “hudut”, is a delicious rich meal. Cassava generally accompanies many of their dishes and is so versatile that it can be made into a drink, pudding, chips or even wine. 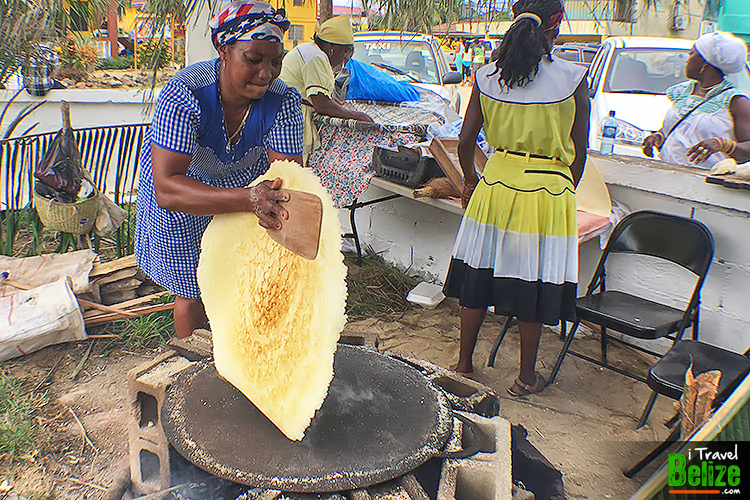 One delicious, popular treat in Belize is the Cassava Bread, which kinda looks more like a large tortilla cut into crispy pieces (much like a cracker). Toast it in the morning with some butter and/or local jam and you have a great breakfast. Last year we traveled to Dangriga Town, Belize’s “Culture Town” and the heartland of the Garifuna people. It’s the best place to experience and soak up the cultural and traditional celebrations of Garifuna Settlement Day. We immersed in the reenactment of their ancestor’s arrival to Belize at the break of dawn and danced along with everyone during the massive parade. We ate some delicious food and partied the night away as only the Garifuna do…non-stop three days of no sleep. 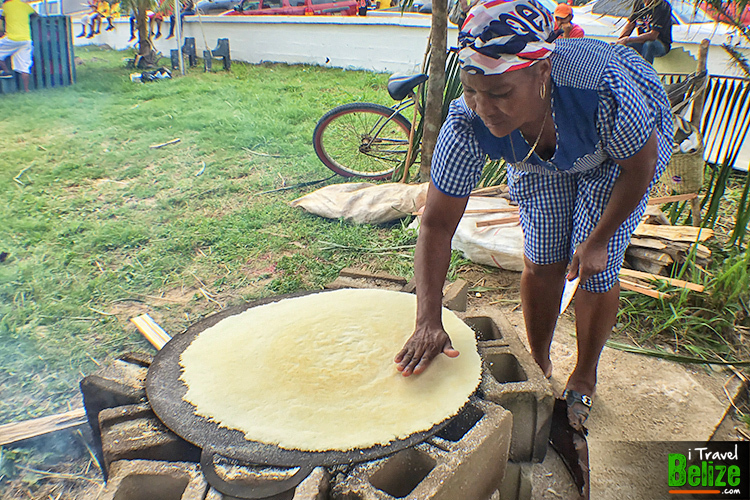 During the official opening ceremonies of Garifuna Settlement Day, we had the opportunity to experience first hand the making of Cassava bread by these amazing Garifuna women. Needless to say, we had to capture the moment and purchase some fresh bread. It’s delicious! 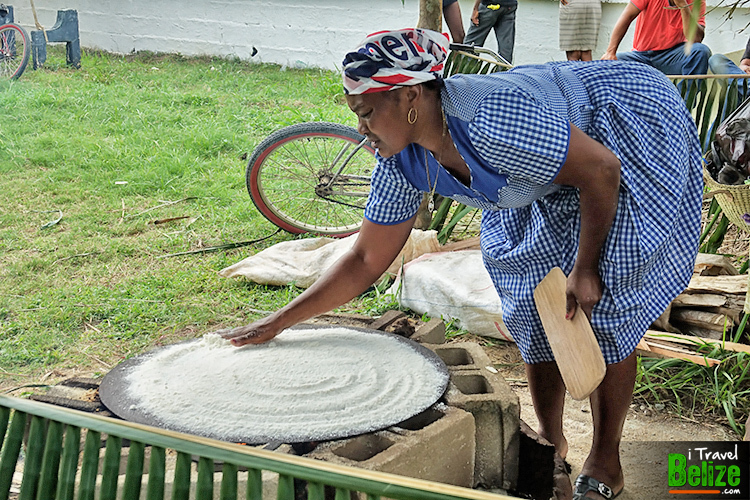 If you have not tried traditional cassava bread made by Belizean Garifuna, you just have to. 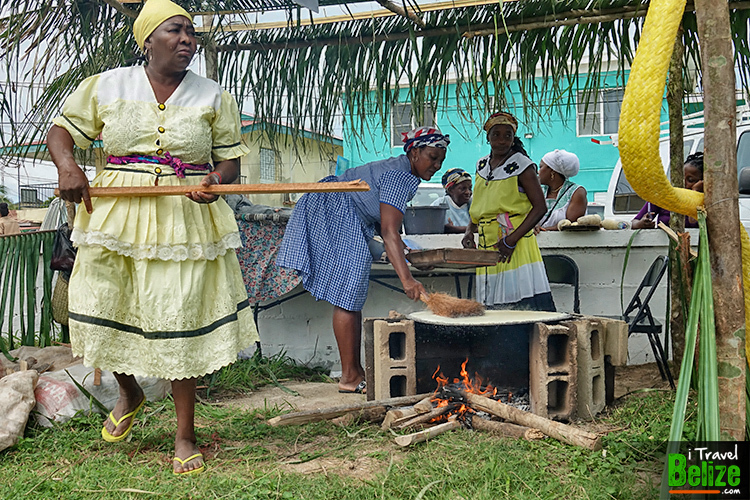 No better time to sample it and immerse in the Garifuna culture than this time of year when they celebrate the arrival of their ancestors and settlement in the country (Nov. 19). 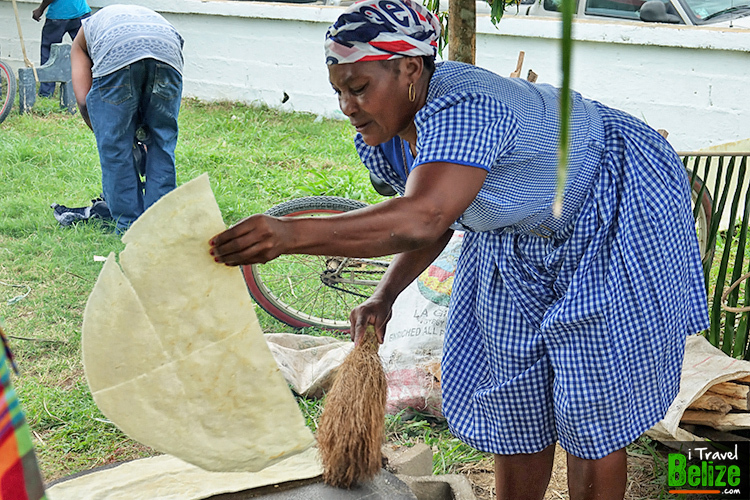 To bake cassava bread (or casabe), the Garifuna first take off the outer skin from the root. It is cleaned, ground and then pressed through a strainer to produce a fine flour. Baking is done on a flat griddle (or comal); the flour is distributed evenly throughout the round comal. It looks like the size of a large pizza crust. As it cooks, the cassava flour solidifies and creates a large, solid piece. When cooked on one side, they flip it over to finish the cooking process. 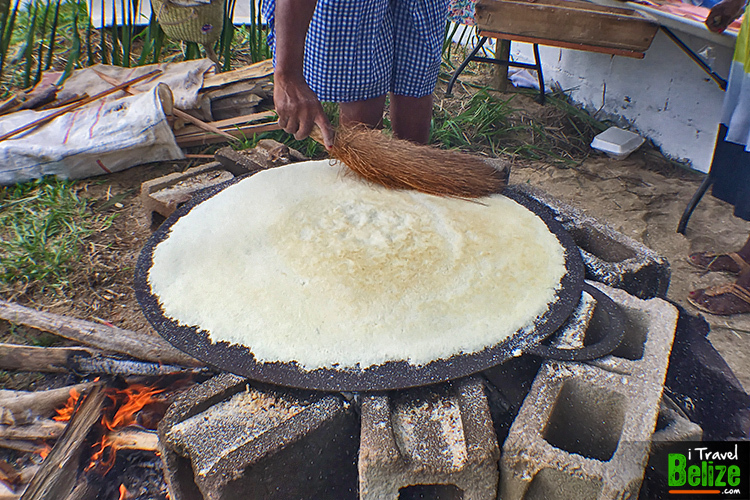 The end product is Casabe, a large round cracker. 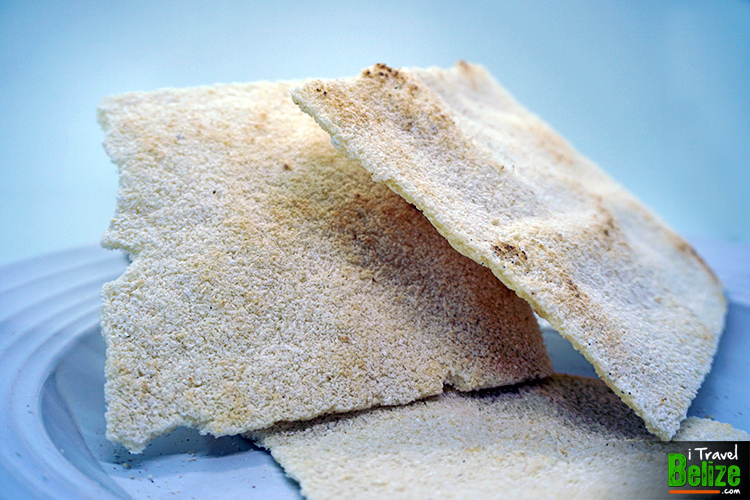 It is crispy and retains its texture despite the local humidity that makes crackers go soggy. It can be eaten as is, but many like to add garlic butter for flavoring. Since it goes well with both sweet or savory flavors, some people add chocolate or jam. 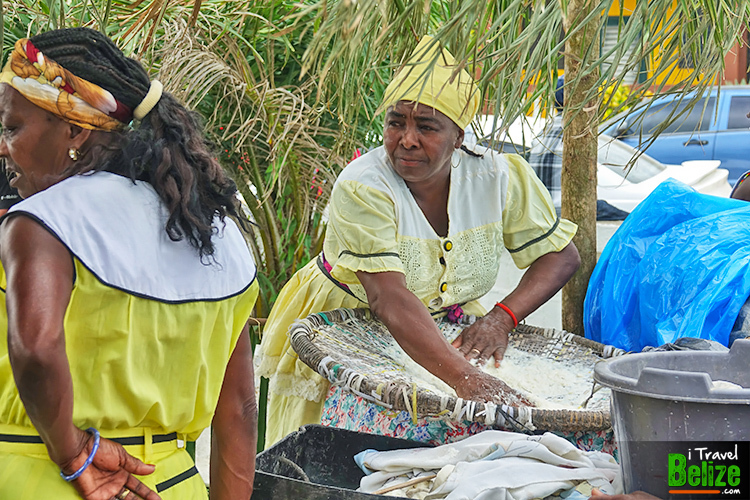 How are you celebrating Garifuna Settlement Day this year? 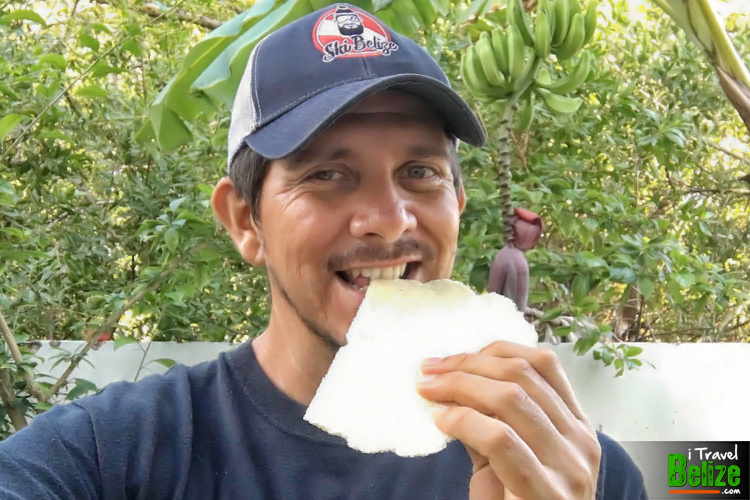 Share this with a friend who would love to try Cassava Bread.